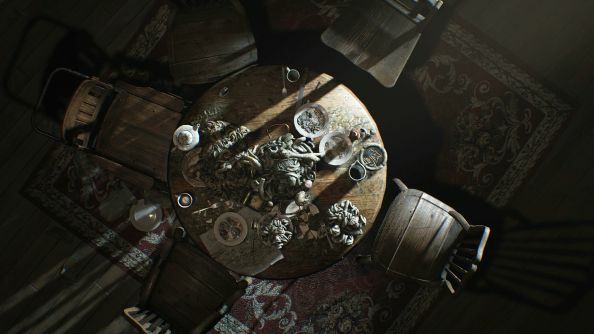 Resident Evil 7 is happening and has an incredibly spooky demo, but we don’t know much more about it. Capcom are keeping things very close to their chest ahead of the January 24 release date, but we managed to eek a few more details out of them. 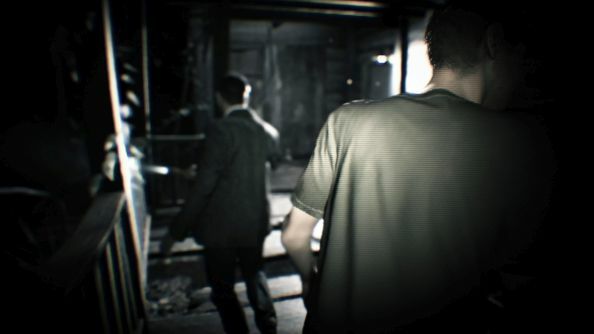 They also answered our broader questions regarding the progression of the series, how the fanbase has reacted as things moved forward and the difficulties of keeping up with survival horror. The fun never stops during E3 week – for more PC gaming news hit up our homepage. PCGN: Obviously it’s still horror, it’s first person, but I didn’t see a herb or a gun or anything, so what makes this still a Resident Evil game? Masachika Kawata, Producer at Capcom Japan: Yeah, we’re really focused on horror and giving that kind of tonal preview of the main game in this demo content, but it’s not representing all the gameplay that you will have in the final game. Rest assured that while we’re focusing on delivering a horror experience, if you play the full game all the way to the end you will definitely feel you’ve had a Resident Evil experience. We really wanted to give that atmosphere of horror to people to reassure them that it had come home with this title, but it doesn’t mean that what you see is what you get for the whole game in this little teaser. In terms of the teaser versus the wider game, what at this point can we be told about who, what, where, when – the general setting and story beats of the main game? MK:As you might expect we’re keeping our cards pretty close to our chest, just because we truly believe that for horror not knowing what’s around the next corner is really a key part of the experience. You’ll have to bear with us on exact details of who is doing what to whom and where. Playing the teaser is the best way to get an impression of what’s coming up. There’s all kinds of speculation going on since we made our announcement yesterday at Sony. Is Resident Evil VII entirely coming out of Capcom Japan or is it collaborative? Was there any temptation to make it VR only or if you thought playing the non-VR version would lose some of that immersion or immediateness of the horror, and how you balance that? MK:I’d love [for] as many people as possible to get their hands on the VR version and play it because it’s really special, it’s a totally unprecedented level of immersion for a horror game as you experienced yourself. At the same time, the experience is the same, even if you don’t play it on – if you play it on your PS4 without VR, or you play it on Xbox One or PC, the content is the same. I don’t want people to feel they’re missing out on certain content by not having VR – it’s the same game, but two ways to play it. As for only putting it on VR – there are some people that don’t like VR, some people who don’t feel comfortable using a VR headset, so we didn’t want to limit the audience to only people who love or are physically capable of getting their hands on [VR] and can handle the experience. Everyone can try it. With wanting as many people capable of playing the VR version as possible, why then the decision to go Playstation VR as opposed to not? MK:We feel that the VR platform that provides the best development experience and let us get the VR experience into players hands is being provided by Sony’s PSVR. Do you think it’s possible for a horror game in VR to be too intense to the point where people are either unable to handle it and how do you find out where that line is? MK:Everyone will obviously have a different experience depending on how much they get into it and their own personal ability to handle extremely immersive horror experiences, but there are people at our offices who have these things on their head from morning to evening, so we’re confident that if you think you can handle it, you probably will be able to. Of course everyone have their first time experiencing VR, some people find it more comfortable than others. We find that those who find it less comfortable at first, the more they played it as we went on in the development cycle they got used to it. 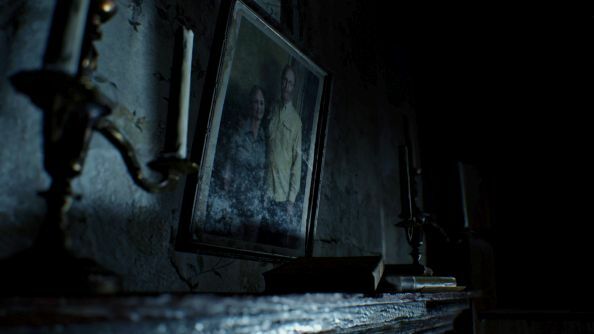 Horror as a term is quite broad, it encompasses everything from jump scares to gore to psychological horror – this is quite grim visually in the demo, is that the kind of horror you guys are going for or do you plan to explore more psychological horror too? MK:It’s best not to know too much in advance for horror but I will say that this game is a full sequel to the numbered Resident Evil series, it’s part of that universe and it’s an extension of what’s come before. It won’t stray too far away from what you know about how Resident Evil treats horror experiences. Koshi Nakanishi, Director of Resident Evil: For the demo in particular, it gives you a tonal preview of the game rather than specifically giving you a certain slice of the content that actually appears in the final game, it’s very much a bespoke experience in the demo that we put together to show you what kind of things happen in the game, but it’s not strictly speaking a slice of gameplay from the main game. Just to be totally clear, that demo isn’t going to be in the full game? Translator:Not in that exact form, no. First person horror games have become slightly more prominent over the past couple of years, things like Outlast, how much do you look at other first person horror and what do you think those other games are doing well and what do you think you can improve on? KN: We pretty much checked out all the first person horrors out there, like you mentioned Outlast. As for what we take away from that, I think when I play a first person horror game I think give me a weapon, you know what I mean? Like, we want to have the cycle of release where you have tension and fear, but also you will ultimately be able to fight back and have that satisfaction of not just being a recipient of horrific experiences, you’re going to be able to hold your own eventually, so that’s what I’ve taken away from looking elsewhere. Resident Evil as a series is revered and loved and quite rightly so, but the last half-decade hasn’t been particularly kind, in terms of public perception. Why do you think that is? KN:As you said, y’know, I think we’ve seen in recent years some user dissatisfaction with the series growing. When you’ve been around this long – 20 years – you want to try all kinds of new challenges with each title, but I suppose, I think if you try to please everyone you’ll end up losing focus, and you end up with something that please no-one. This time around we really wanted to get back to basics and bring Resident Evil back to the horror that everyone knows and loves from it. That’s our goal with Resident Evil VII: Biohazard. This is a numbered Resi, but it’s clearly a different approach – why is now the time to reinvent it and why is it still being considered part of the main series? KN:Bringing what makes Resident Evil, Resident Evil bang up to date for modern gamers, the answer to how to do that for us was ultimately, to feel the same horror that gamers did in 1996 with Resident Evil 1, first person and this kind of gameplay just made the most sense to us to bring what Resident Evil does best to players today. KN:It’s been an amazing reaction, but because we are, as I said, keeping our cards close to our chest on just how much we reveal, we have seen people who are worried or speculating on ‘will it have this, will it be missing that?’ People aren’t necessarily quite clear what it is yet but, y’know, we don’t want to spill the beans right now. 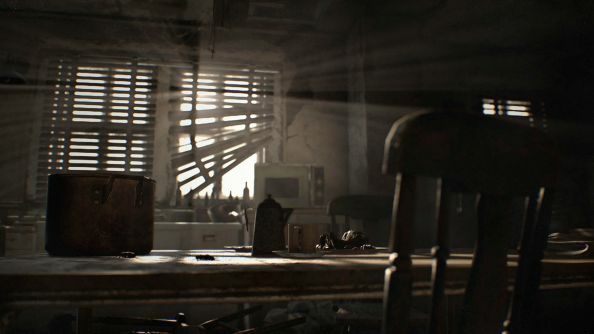 It’s not that far away at this point, so you will have to sooner or later – to do with that, the reveal is now, the game is out in a couple of months, is this going to be a full length Resi title similar to previous games? KN:Yeah, it’s a full-fledged, fully sized Resident Evil experience and it has key pillars of Resident Evil gameplay which we’re not including just yet in the teaser demo, it’s just about showing you how horror is back but we’ll be talking more later about how everything you love about Resident Evil is in this game. On fighting back against the horror, in VR there’s sometimes a disconnect when you try to do combat with a pad when you have a headset on, it can be slightly dissatisfying – how are you approaching that design challenge? KN:I know what you mean – PSVR is designed with the assumption that you’ll be using a controller and we’re working on it and we’re going to keep working on it until the last minute of development to make sure that you get a great experience of combat even while you’re wearing the VR headset. How do you guys view the survival horror genre and its general health within the industry? KN:I never really felt too much like survival horror had gone away as much as maybe some fans did, but it’s still a great challenge to work within this genre and there’s a lot of great titles coming out in it. We still really enjoy working within the new view of survival horror. I do think keeping a series running for a long time can be difficult because there’s the natural tendency for, in games, the scale to increase with each sequel. As the scale increases, maybe something that was there in the first game starts to get lost a little bit and you need to go bigger and better and that can lead you off track of what was good about the first game. I love the original Dead Space, but then Dead Space 2 was quite a lot bigger in scale and in 3 co-op was introduced and that seems to be a bit of a natural progression as a series goes. It’s challenging to stick to what makes survival horror survival horror, the more games you make in a series. So how do you, as a creator, identify those key things that are core to a series and resist that temptation? KN:We try to keep the uncertainty as to whether or not you’re actually going to be able to survive the experience alive. One way to do that is, as you’ve seen in the series so far, we don’t just keep the same main character, exactly the same enemies running the whole time, y’know. We’ve taken a few times where you’re a different main character and you’re not sure exactly what enemies are gonna be coming up, what kind of enemies there are in general in this particular game. That’s one way that we’ve tried to make it so you remain unsure of what will happen. I think even if you’re a series veteran, you’ll be able to go and play Resident Evil 7 and be like ‘what’s going to happen? I have no idea.’ It’s not going to be something you’ve seen before. That makes it really fun even for veterans. I expect I know what the answer will be here, but what are the enemies this time? KN:Yeah, whenever we watch a horror movie or play a horror game, I always feel like I don’t wanna know what’s coming up and it makes it better for me so I’m gonna have to ask you all to remain in the dark a little while longer. MK: With the games being brought to… the scale has been reduced from some of the previous ones and it’s a lot more intimate, personal feel to the horror, in terms of the location – everything’s going to flow from that. I think it’s going to be a really good experience. With as passionate a fanbase as Resident Evil has, I’m interested to hear what kind of feedback you take on board – it was interesting to hear you say earlier that you can’t please all the people, and if you try you end up with a diluted end product. There surely has to be some engagement with what the fans want – what does that process look like in your development and what is your ethos on fan feedback versus your creative ideals? KN: In the development process we have a certain sort of feedback process going on. To be honest, we ourselves and a lot of people that work at Capcom consider themselves Resident Evil fans. It’s not exactly the same thing, but we don’t make want we wanted to make upfront and go to the end completely blindly, we try to take a step back and look at it from the perspective of somebody who loves the series and someone who is a fan of the series – give ourselves feedback and see if we are on the right track. 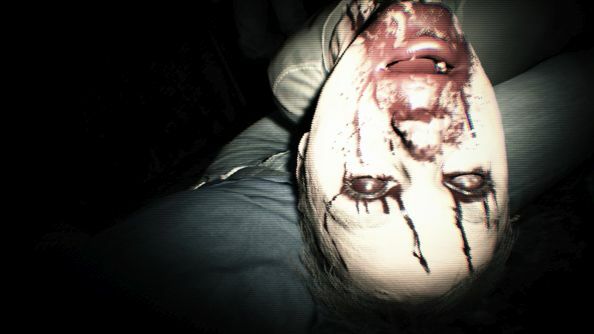 MK: We also try and keep each product focused on what it does so Resi 7 is this real horror comes home concept. We’ve had shooting action in the past and we’re just kind of thinking, rather than trying to put that in this game and maybe dilute the horror, we can put it in a different game like Umbrella Corps and make it work on its own terms, rather than trying to force two different things together and then have each lose what makes them good games. KN: There’s all kinds of players out there but I think for the new game in particular, people who love the atmosphere of the old Resident Evil games are really gonna love this one.